After a devastating accident takes Jess’s parents, a cold and controlling uncle is the only family she has left. Ripping away everything she’s ever known, he takes her far from her home in the big city to live on the rural family estate. With a spoiled and stuck up older cousin the only other young person in the home, Jess struggles to adjust to her new life of loneliness and quiet isolation. While exploring the woods surrounding her home one day, she stumbles upon a mysterious boy. Desperate for a friend, she’s instantly drawn to him, but he’s deeply distrustful and wants nothing to do with her. Sneaking away to see him, she works hard to break through his walls and slowly gains his trust. As time passes, their bond grows from forbidden friendship into something more, but the threat they’ll be caught looms closer. How far will Jess have to go to protect the boy she’s fallen inlovewith? Or will her uncle find out about them before she can escape his control? This book was initially published in Wattpad and I’ve read this there years ago. When I first read this book, I was absolutely captivated with the characters and the setting. Since then, I have read this book countless times. There’s something about this book that just makes me go back and relive the events of the book again and again. So, when I saw that this book has been available in Kindle, I bought it without hesitation. This book is about Jess and Marty and the friendship they’ve built together through the years. 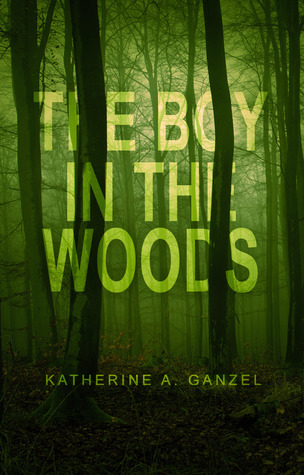 Set in the late 1950s, The Boy in the Woods is unlike any other coming of age story. Because the events of the book happens before the youth became obsess with screens, Jess and Marty met when Jess is exploring the woods. There she finds a boy who needs a friend just as much as she does. And together, they grow up. It’s really a coming of age story. Another thing that I really like about this is their friendship and love. Of course it’s obvious that Jess and Marty are meant to be more than friends but how the story of their friendship was told is really beautiful. Their love for each other is as pure as it can get. And I love that. But… the best thing about this book are the characters. Jess and Marty are absolutely adorable. They are the kind of characters that I would love to meet. I think that the story is actually typical – a boy and girl with different social status who have to fight for what they have. It’s the essence of the characters that set this story apart. Overall, I think this book is a book for everyone who wants to smile and experience an innocent yet beautiful kind of love.